The ultimate Botswana Adventure - Trans-Okavango Exploration. This epic journey – which includes the thrill of walking, boating and flying planes (and even a helicopter) between camps – explores the Okavango from west to east, capturing the essence of the Delta and imbibing the real spirit of exploration. Take in the abundant game-viewing areas of Hunda Island, Mombo and Chitabe interspersed with iconic water experiences offered at Pelo and Xigera. 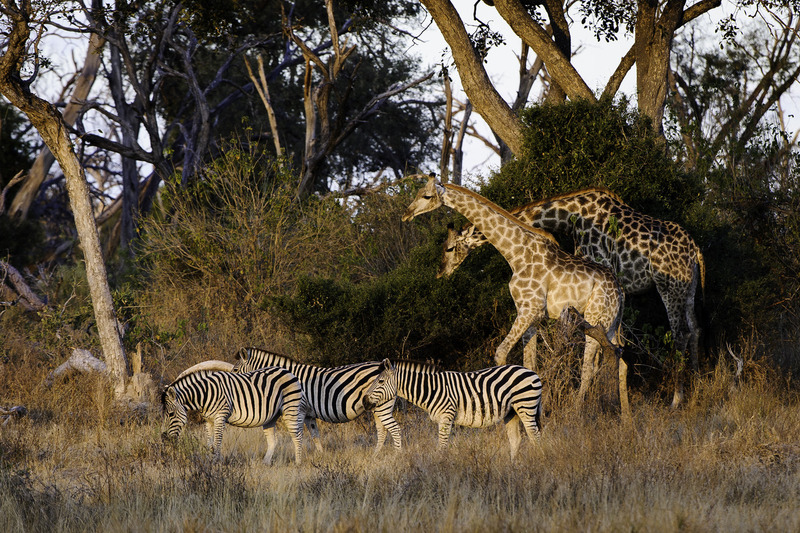 Arrive in Maun and fly to Hunda Island, situated in the heart of the Okavango Delta. After a short road transfer, you will arrive at Tubu Tree Camp in the early afternoon in time for your first safari activity. Enjoy morning and afternoon game drives exploring the island. After a light breakfast at Tubu Tree, depart on foot for the Tubu Boat Station, arriving in the late morning. From here, transfer by boat and mokoro to the intimate and remote island where Pelo Camp lies. A true water camp, Pelo is all about mokoro and boating. Set under wild date palms, jackalberry and Natal mahogany trees the camp has an inviting plunge pool for dips in the midday heat while the raised lookout deck is the perfect spot for sundowners. After breakfast, take to the skies for a scenic and thrilling helicopter ride over the shimmering landscape to Xigera, arriving in time for lunch and an afternoon safari activity. After breakfast at Xigera, transfer by boat to Chief’s Island. On arrival a vehicle will meet you and take you to the much-revered Mombo Camp. Spend the next two days exploring this area that teems with plains game and predators. After a morning safari at Mombo, transfer by light aircraft to Chitabe Camp. Spend your final two days enjoying the classic Delta scenery and plentiful, diverse wildlife of Chitabe. After your morning drive at Chitabe, you will be transferred by light aircraft to Maun and bid farewell to your adventure. Please inquire for availability, rates and customized itinerary. Life is an amazing adventure! ©2018 Amazing Adventures Travel Inc.